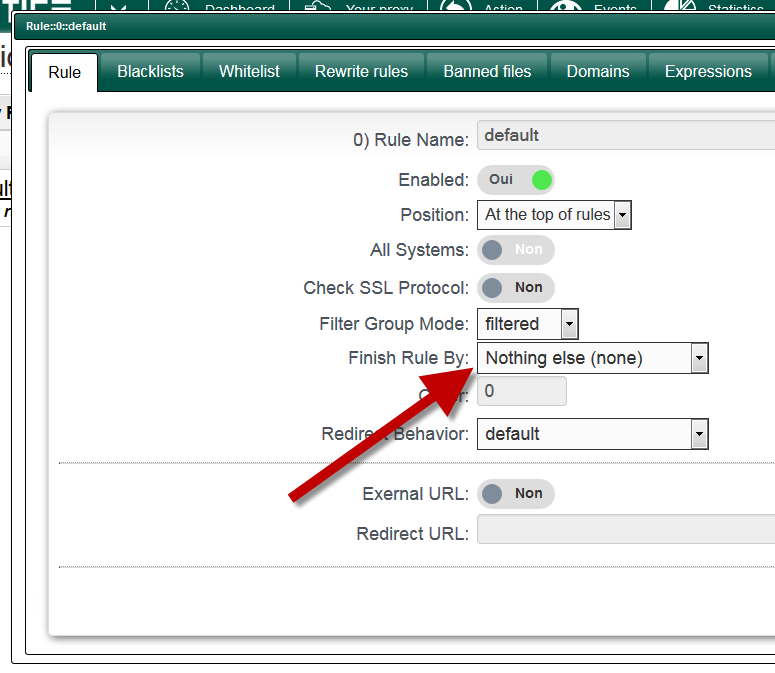 By default, Artica create rules with the “Pass other websites“. This means that only websites stored in “blacklisted” categories are used. White-lists are only used to contradict a blacklisted website. If you set this field to “Nothing else (none)” entry this means that all sites that are not “white-listed” are denied. In this case, you have to perform the opposite of the default behavior by adding all categories ( personal categories too) in the white-list section. ← How to enable the categories service in 2.x version ?